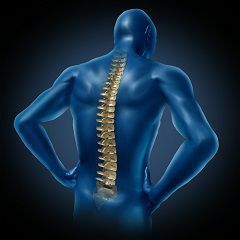 Illinois Car Accident Spinal Cord Injuries | Hupy and Abraham, S.C.
About 11,000 people suffer spinal cord injuries in the United States each year. The leading cause of spinal cord injuries is motor vehicle accidents. Currently, spinal cord injuries are incurable. Spinal cord injuries are also life-changing for victims and their loved ones. Complete paraplegia. A car accident victim who suffers from complete paraplegia is paralyzed in the legs, feet, bladder, bowel and sexual organs. Complete tetraplegia. A car accident victim who suffers complete tetraplegia has suffered an injury to the spinal cord that results in all of the symptoms of complete paraplegia but also included paralysis of the hands or arms. Sometimes respiratory problems and paralysis of the upper trunk or neck may also occur. Anterior cord syndrome. A car accident victim who suffers from anterior cord syndrome has suffered an injury to the front of his spinal cord. Typically, victims suffer loss of movement below the point on the spinal cord that was hurt. Other sensations such as recognition of touch may be unimpaired. Central cord syndrome. A car accident victim who suffers from central cord syndrome has suffered an injury to the middle part of his spinal cord. This may happen if, for example, the victim’s neck was hyperextended during the crash. Most victims with this type of injury suffer complications with their arms. However, other issues may also occur. Posterior cord syndrome. A car accident victim who suffers from posterior cord syndrome has suffered an injury to the back of his spinal cord. A person suffering from this type of injury may have impaired sensations but may retain motor functioning. Brown-Sequard syndrome. A car accident victim who suffers from Brown-Sequard syndrome has suffered an injury to either the left side or the right side of the spinal cord, but not to both sides of the spinal cord. One side of the body may experience paralysis and the other side of the body may experience loss of sensation. Cauda equina lesion. A car accident victim who suffers from a cauda equine lesion has suffered damage to the cauda equina nerves at the base of the spine. If the condition is diagnosed quickly enough, then surgery could help prevent some of the lasting effects of this condition. As with any injury, it is important to remember that each victim is unique, that each victim needs medical care, and that each victim deserves to make a fair legal recovery if the spinal cord injury was caused by someone else’s negligence. Do not try to negotiate with the insurance company on your own if you have suffered a spinal cord injury in an Illinois car accident. Instead, schedule a free consultation with an experienced attorney who can make sure that your rights and fair recovery are protected. For more information, please start a live chat with us now and schedule a free consultation.